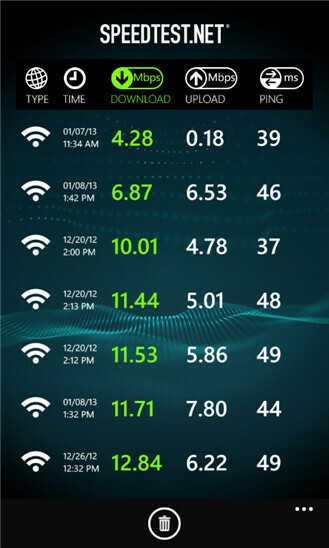 There was a time when a data speed test application was available on Windows Phone. Eventually, it got pulled from the Marketplace for using Ookla's servers without permission, rendering Windows Phone users unable to brag about the super duper lightning-fast 3G/4G speeds they were getting. 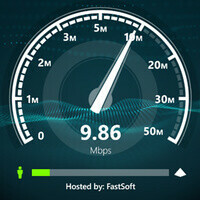 Fast forward 9 months into the future and an official SpeedTest.Net app is available to those holding on to a Windows Phone 8 handset. Unfortunately, the app, which was published yesterday, appears to be a bit twitchy. AT&T subscribers owning a Nokia Lumia 920 say they're unable to use it, while others report network communications failure when trying to measure their speed. The majority of people who have downloaded the application, on the other hand, say that it works as intended. They also seem to dig the new user interface. Care to try it for yourself? We've provided a download link for your convenience so feel free to go and check the app out. Looks really nice. They should update the Android app. It crashes a lot for me. And no wp7 support... dafuq?